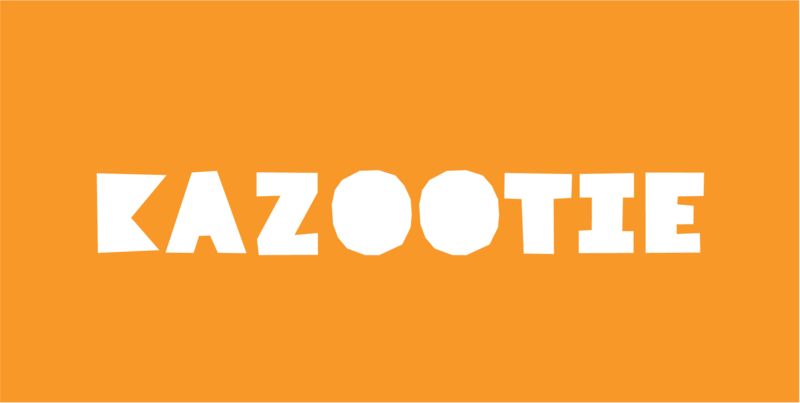 Kazootie was inspired by cut-paper shapes and named after the hand puppet character Rootie Kazootie in a 1950s children’s television show. 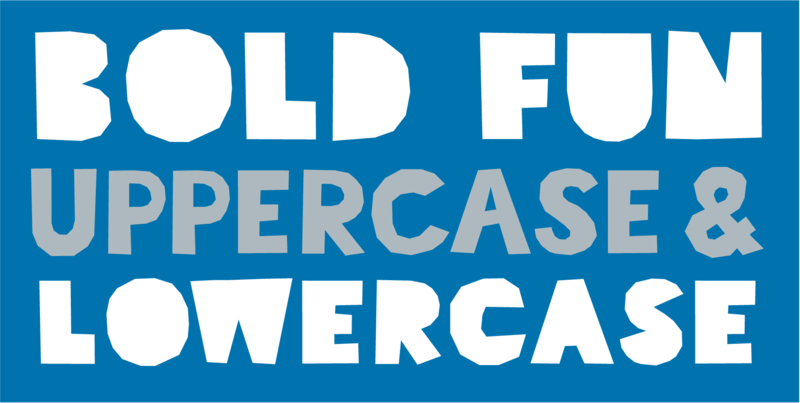 Kazootie is a light-hearted and fun display font with a big, strong voice and crisp confident stride. 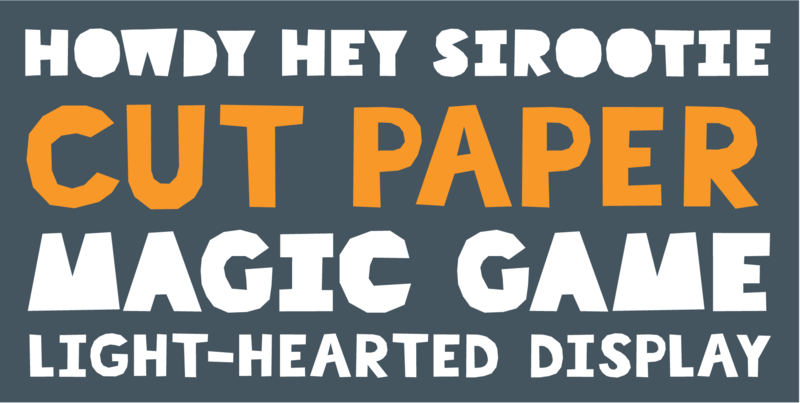 Best for headlines and larger text in picture books, Kazootie is all caps, but you can type your letters in uppercase or lowercase to access two different variants of the style.